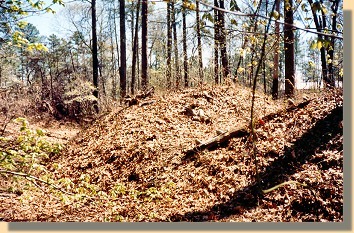 This small Confederate artillery work helped to immobilize Union Gen. Benjamin F. Butler's Army of the James during its attack on Richmond in May, 1864. Fighting, which continued into June, successfully "bottled up" Butler at Bermuda Hundred. The battery then became part of the Howlett Line helping to defend Richmond until the capital was abandoned in April 1865. 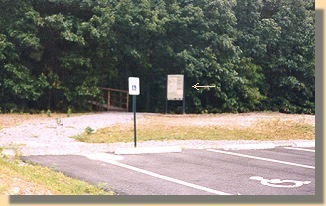 The arrow marks the Park Service Sign. 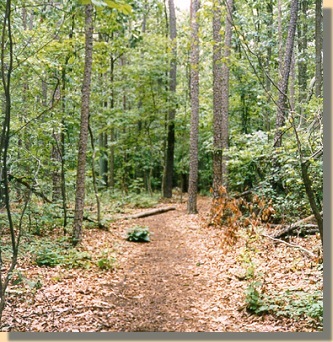 To the left of the sign, a just-visible wooden bridge begins the Park trail. 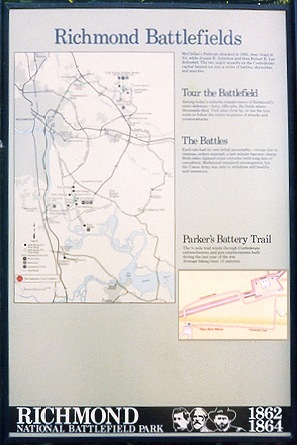 This sign displays the Richmond National Battlefield Park Map (see reference), and a map of Parker's Battery, with a brief description. 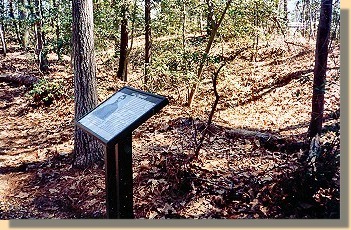 This site seems remote from Richmond but Confederate defenders extended well beyond the city. 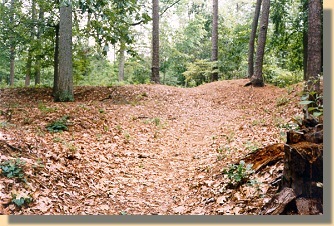 From mid-June 1864 a unit of artillerymen called Parker's Battery manned these earthworks. Despite the proximity of a large enemy force, this line was quiet for the next 9 1/2 months---just an occasional shelling, or pickets taking potshots. The shooting war was a few miles northeast and south. 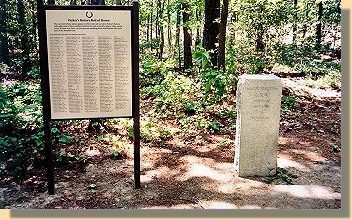 After the fall of Petersburg, Parker's Battery retreated with Lee to Appomattox. 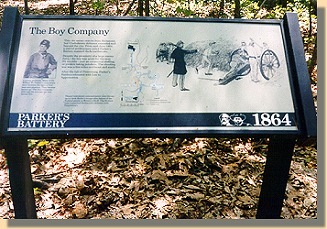 Although it became known as "The Boy Company" the average age was twenty-five. Copyright 1999 - 2012 by USACivilWar.com.